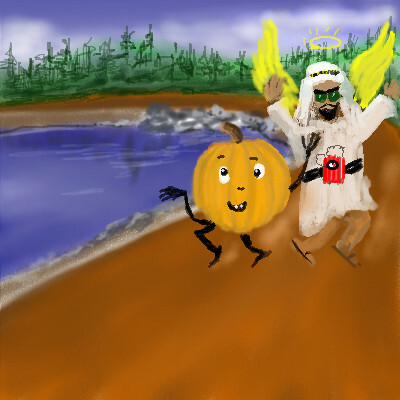 2draw.net - boards - Beginner - Or a pumpkin skipping with an angelic terrorist? boardsbeginnerOr a pumpkin skipping with an angelic terrorist? Well, I must say, this is quite something, dave. I like the bomb, very funny >.<. I lost the link to the idea box. I've always loved using it when I lost inspiration. So creative and cute! LOL!!! !